Featuring a class leading EDM unit, the ES-101 total station has 0.5”/1” accuracy and is able to measure up to 3,000m to standard prisms, and can measure in reflectorless mode up to 500m at an incredible 3mm + 2ppm accuracy. 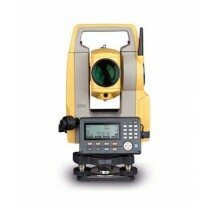 Featuring a class leading EDM unit, the ES-105 total station has 1”/5” accuracy and is able to measure up to 3,000m to standard prisms, and can measure in reflectorless mode up to 500m at an incredible 3mm + 2ppm accuracy. Featuring a class leading EDM unit, the ES-102 total station has 1”/2” accuracy and is able to measure up to 3,000m to standard prisms, and can measure in reflectorless mode up to 500m at an incredible 3mm + 2ppm accuracy. Featuring a class leading EDM unit, the ES-107 total station has 1”/7” accuracy and is able to measure up to 3,000m to standard prisms, and can measure in reflectorless mode up to 500m at an incredible 3mm + 2ppm accuracy. Featuring a class leading EDM unit, the ES-103 total station has 1”/3” accuracy and is able to measure up to 3,000m to standard prisms, and can measure in reflectorless mode up to 500m at an incredible 3mm + 2ppm accuracy.